Sr. Mary Evelyn Giemza, C.R. Sr. Mary Evelyn Giemza, C.R., Member of the Congregation of the Sisters of the Resurrection died July 7 at Resurrection Life Center. Loving daughter of the late George and Mary (Pyka) Giemza. Survived by her sister, Mary Angst. Preceded in death by her brothers, Clarence, Raymond and Edward; and sister, Stella Suchla. Dear aunt of many nieces and nephews. For 10 years an elementary school teacher and for 30 years at Resurrection Medical Center a surgical nursing supervisor, nurse anesthetist and Associate Director of Nursing. 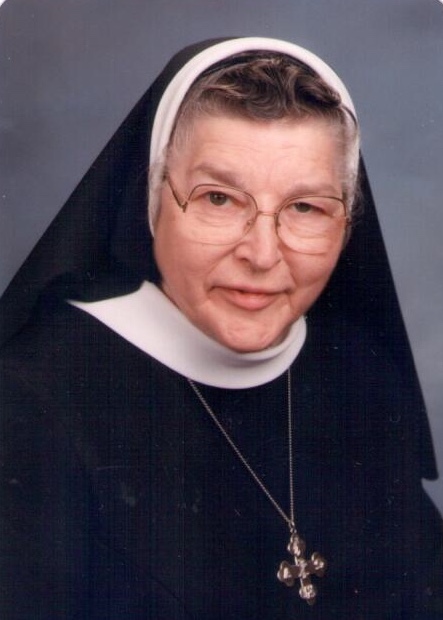 Visitation Tuesday, July 10 from 3:00-7:00 p.m. at the Sisters of the Resurrection Provincial Home at 7432 W. Talcott Avenue, Chicago, followed by Funeral Mass at 7:00 p.m. at the Provincial Home. Interment Wednesday at St. Adalbert Cemetery. In lieu of flowers, memorials to Sisters of the Resurrection Retirement Fund.